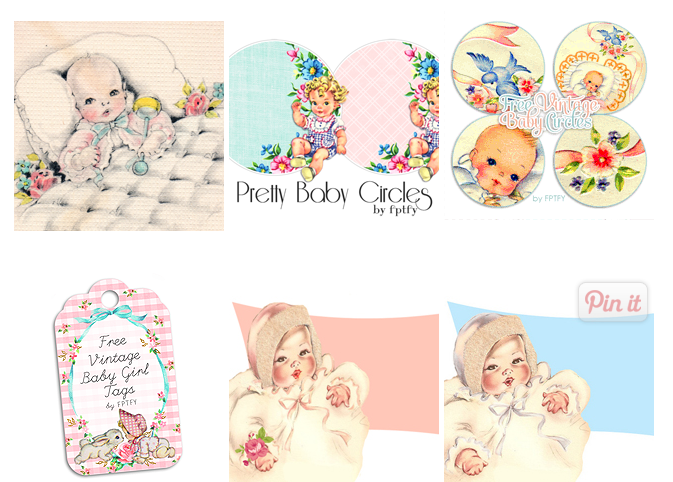 Last month I found TONS of vintage baby images! As you can imagine I was pretty much ready to pass out when I saw the amount of them..This is one of my favorites turned into a printable tag! :) The peach colored blossoms, next to the french-y blue background just scream timeless elegance. To download, just click the image below to enlarge and save! 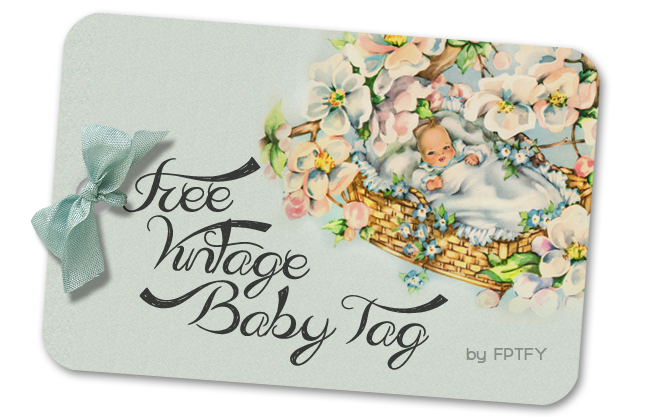 For more Vintage Baby Freebies Click on the Gallery Below! Then you will just adore the matching digital scrapbooking paper! « Custom Mini Embroidery Necklace Giveaway! Keren, these are just sublime!! How precious. 100 hugs!! Oh my goodness, so pretty! That shade of blue is definitely one of my favorite colors. The illustration is gorgeous! This is just so so so sweet…almost makes me want to have another little baby…KIDDING!!! lol!!!! it’s cute but not that cute lol!!!! I love it and you are just so sweet sharing all of these precious vintage gems with us all! Sending tons of hugs to you and yours!!!!! Keren your style is so gorgeous! Love seeing all your fun tags.